Ballroom dancing is a sport every parent should consider for their child. 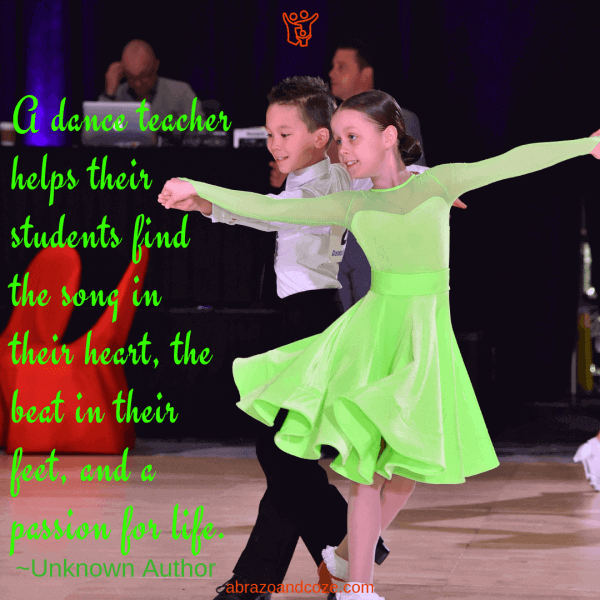 There are just so many physical and mental benefits of ballroom dance, there really is no good reason not to. Dance is especially good for children, however, the task of finding the right ballroom dance studio for kids can seem a daunting task. There are so many unknowns to this still largely underground sport. 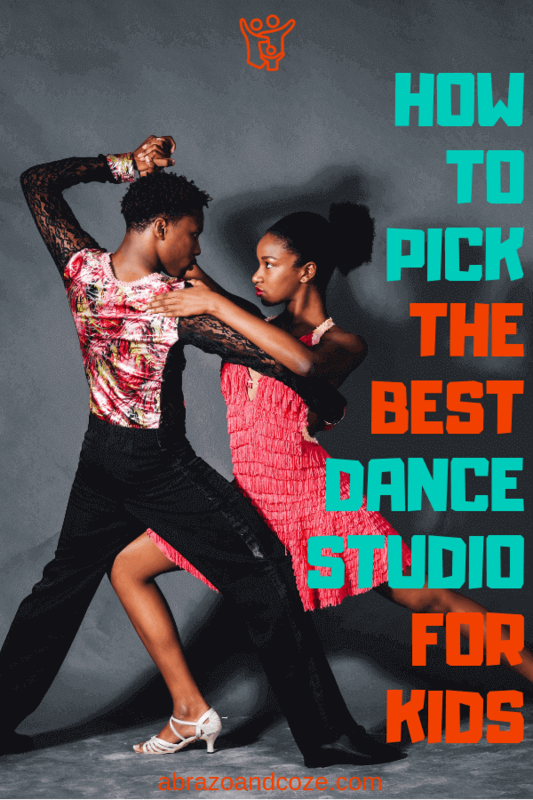 Here to give you some tips and advice for finding the right ballroom studios is the owner of Aria Ballroom in Washington State, Kora Stoynova. She is a professional competitive dancer and has been teaching children for over 15 years. She also runs the #dancerslifestyle blog, SK Dancesport. 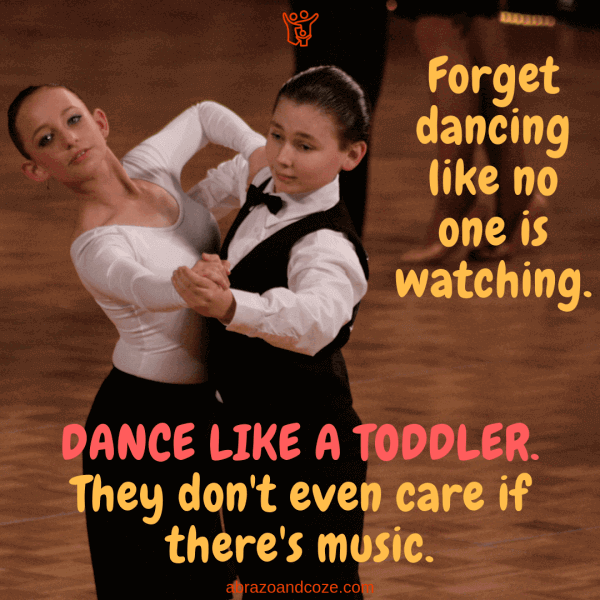 The key to finding the right ballroom dance studio for kids is to do your research. Large chain studios rarely have good programs for teaching children. Their business model simply doesn’t support the creation of such programs. The most successful children’s programs generally exist in independent dance studios, meaning those schools that don’t belong to a large chain. Sometimes these dance studios don’t even have an online presence. So that begs the question: where does one find a dance studio for kids? Local dance competitions are a great place to begin your search in finding the right ballroom studio for kids. A simple Google search will pull up the competitions in your area. Just phrase your search like this: “ballroom dance competitions [your city]”. Check the competition schedule and attend during the “kids’ session”. By viewing during the kids’ session, you can discover for yourself which dance studio has the most number of children, and which kids are the best on the floor. Pay special attention to the way coaches interact with their students, and don’t be afraid to talk to some of the parents. You should even try to talk to the coaches! If the coaches just brush you off, you probably don’t want to be going to that dance studio, anyway. Another great thing about local competitions is the opportunity to ask the organizers where they would recommend. The ballroom dance community is pretty close-knit. Organizers generally know every dance school and teacher in the area. They’ll be able to direct you to the dance studio with the most active children’s program. 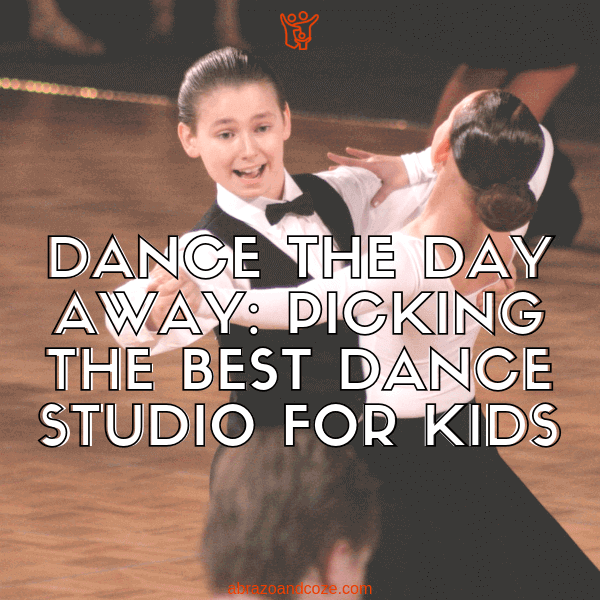 Before deciding on a dance studio for kids, go and check it out for yourself. Talk to the studio owner or program director one-on-one in order to get a feel for how the program is run. Get a copy of the schedule and come back, with or without your child, during one of the children’s classes to see the program and teachers in action. 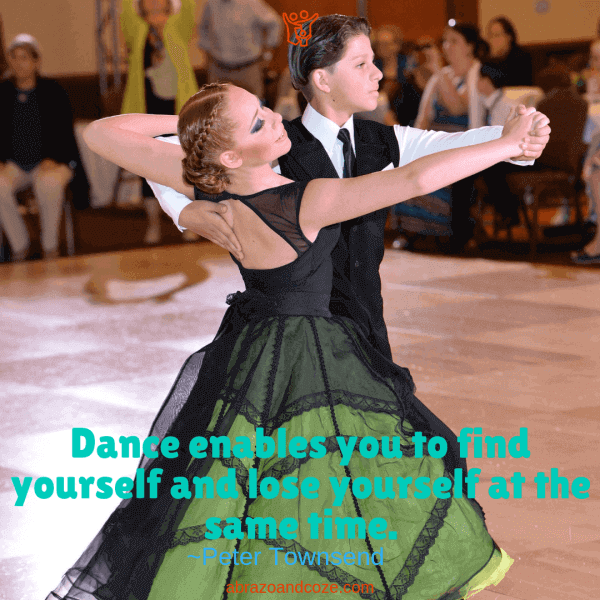 This is a very important step in finding the right ballroom dance studio – for kids especially – and should not be skipped. You want to watch how the coaches instruct and interact with the students. Pay attention to the children’s body language. You want to see the students excited and engaged. If the kids are hanging their heads or look uncomfortably nervous in the presence of the coaches, that is not a good sign. Another thing to pay attention to is how the dance classes are run. Every program is different, but classes should have a mix of dancing, technical instruction, and exercises. Conditioning is also good. But the key is the mix. All of these things are important to dancers, so a program that only does one or the other is not going to offer your child the best training. Taking the time to ask the right questions is paramount. Ask them even if you already know the answers! It’s a great way to determine the owner or program director’s expertise. Below, is a list of questions with some suggested answers. You’re looking for a specific answer here. While most dancers end up specializing in a specific style of ballroom dance later in their careers, you don’t want that in the beginning. If you’re not sure about the different styles of ballroom dancing here is an article describing the differences. Take some time to read through it and familiarize yourself with them. Ideally, you want the program to teach both International Standard and International Latin. Even if your child’s interests later drift to American Style or the club dances such as Salsa or Lindy Hop, their training in International Style will give them the best technical base from which they can develop any style of partner dancing. What results have your program’s students achieved? 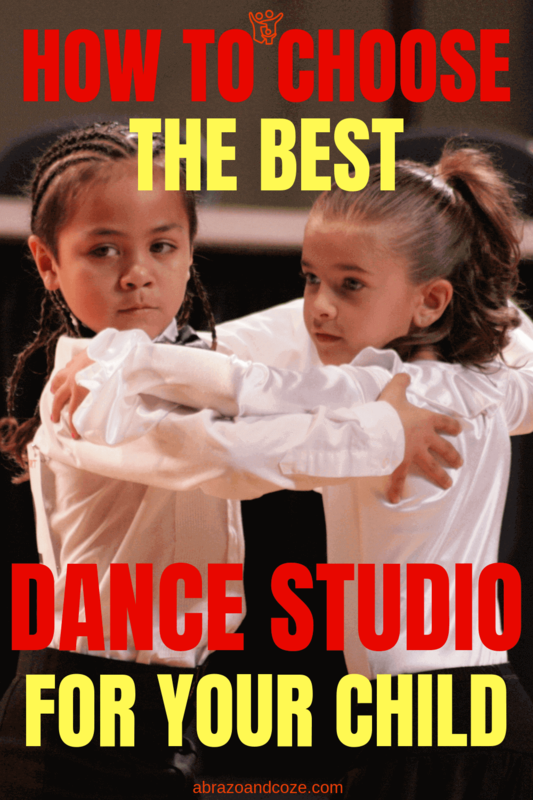 This question is really important for finding the right ballroom dance studio for kids. So often, teachers will regale you about their achievements, which might be inflated or outright untrue anyway, but you’re looking for the kids’ results. You want results in different age groups and styles, and from national level competitions, not just local events. You also want multiple couples with results, not just one lucky couple who happened to be exceptionally talented. Multiple couples in multiple styles across multiple age groups are indicative of a successful program run by a team of experienced teachers. Is their a requirement for competitions or private lessons? The key word here is “requirement”. You’re looking for a program that does not require students to compete or pay extra for private lessons. Certainly, competitions are where children can experience the most fun, and private lessons – while expensive – are the most efficient way for your child to improve. However, a requirement of either is something to steer clear of. Recommendations and opportunities are fine, but a requirement betrays a program so heavily invested in competitive dancing that they are not concerned with the actual student experience. 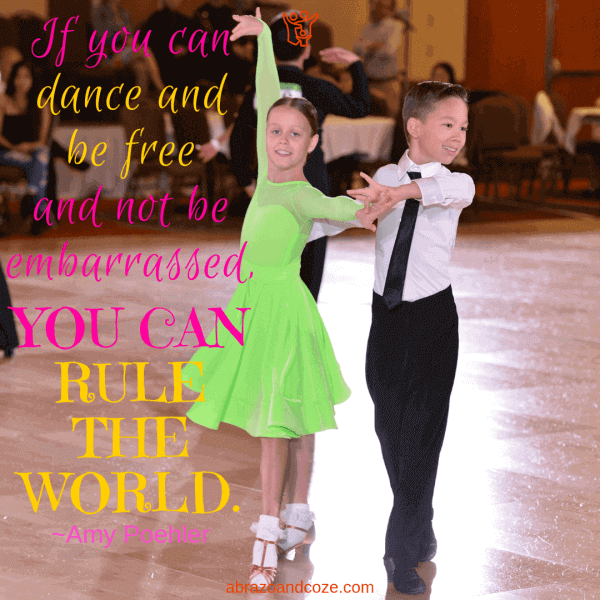 Learning ballroom dancing should be confidence building, not an activity that tears your child down. Programs that require competing run the risk of destroying your child’s self-esteem, and should be avoided. What should my child wear and where can I buy it? Again, you’re looking for a specific answer. Someone who immediately gives you a list of items costing you north of $200 is most likely, like the requirements above, too heavily invested in competing. Costumes and practice wear for ballroom dancing can be expensive, but you’re just starting out, here. Your child needs a top and bottom and a pair of shoes. On the flip side, someone who has no idea where your child can obtain those basic items for dancing is probably a teacher who is not very well-connected in the local community or is someone who might be inexperienced. You need a referral to a shop and a list of basic but specific items. Hopefully, these tips have given you a good idea of where to start. Ballroom dancing can be such a unique and constructive part of a child’s development, giving them a more well-rounded social education than almost any other activity on offer. Take the time to do your research and I’m confident you will find the right ballroom dance studio for you and your child. For more information regarding the world of ballroom dancing, take some time to check out SK Dancesport. Did you learn to dance as a child? I’d love to hear about your experience in the comments – what did you learn that carried over into your adult life? What is your favourite dancing memory? Let me know in the comments below. Kora is a lifelong professional competitive ballroom dancer, world finalist, studio owner, judge and teacher. She has dedicated her life to ballroom dancing and is an inspiration and role model for hundreds of students at home and around the world. Dancing is her passion, and she wants you to take advantage of her experience and dig deep into the world of Ballroom. What a fascinating subject and one that I’m sure would help parents in search of such information. I find that competitive dancing isn’t for everyone but we should be able to take dance lessons for the pure enjoyment of the craft. I agree with you in that point.